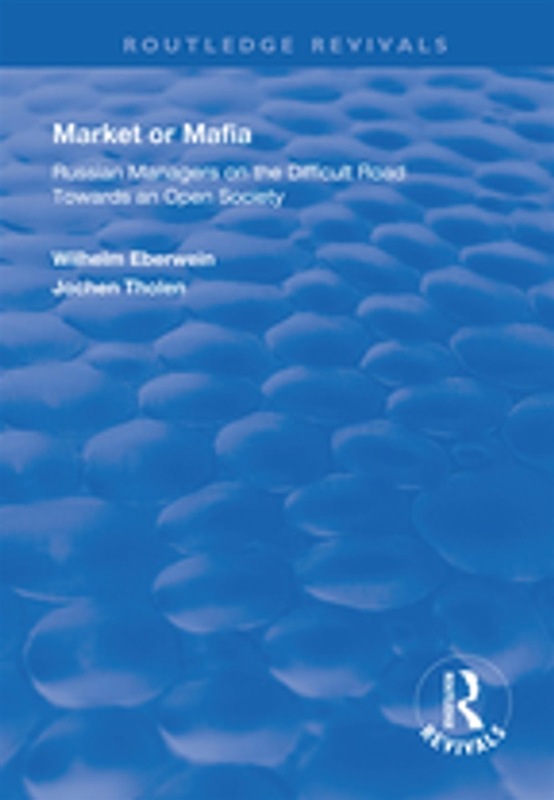 First published in 1997 in the wake of the collapse of the Soviet Union, this volume examines the situation of Russian managers in the transition to a more capitalist and democratic system. It asks whether a country of eleven time zones, extreme climatic conditions from arctic temperatures to dry stone and sand deserts, with more than a hundred nationalities and limited experience with liberal ideas and concepts or with civil-democratic traditions can be ruled in a modern world. The differences between ‘Westies’ and ‘Slavophiles’ only complicate its situation further. Further still, the authors note significant similarities between notions of national betrayal related to the withdrawal of the victorious Red Army from Central and Eastern Europe and attitudes in 1920s Germany towards World War I. The immense responsibility carried by the company directors, entrepreneurs and managers of Russia for the future of their country is the focus of this book. It follows two other volumes on Germany (1990) and an Anglo-German comparison related to Western European integration (1993). Acquista Market or Mafia in Epub: dopo aver letto l’ebook Market or Mafia di Jochen Tholen, Wilhelm Eberwein ti invitiamo a lasciarci una Recensione qui sotto: sarà utile agli utenti che non abbiano ancora letto questo libro e che vogliano avere delle opinioni altrui. L’opinione su di un libro è molto soggettiva e per questo leggere eventuali recensioni negative non ci dovrà frenare dall’acquisto, anzi dovrà spingerci ad acquistare il libro in fretta per poter dire la nostra ed eventualmente smentire quanto commentato da altri, contribuendo ad arricchire più possibile i commenti e dare sempre più spunti di confronto al pubblico online.